24-Inch Arizona Saddle Stool is a comfortable choice for a relaxed cozing up to your table and enjoy a cup of tea or coffee of your choice. This saddle stool has smooth rounded edges and a curved seat. Constructed of rubber wood. 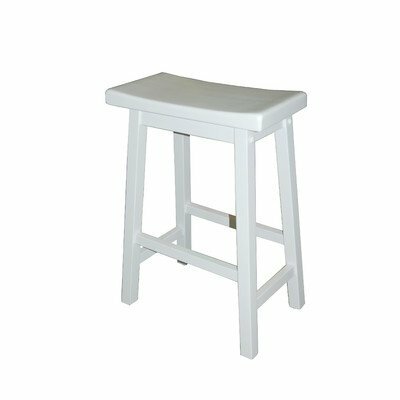 The stool measures 17.72-inch deep by 9-inch wide by 24-inch high. Available in black, red or white. Requires some assembly.